Sab The Book Eater: Guest Post by Diane J. Reed and a Giveaway! 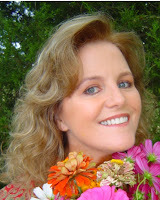 Guest Post by Diane J. Reed and a Giveaway! Why is it that new romances often blossom in spring? We’re all familiar with the fact that increasing daylight hours and warmer temperatures tend to ignite sexual hormones in animals and bring about the term “mating season”—hence the classic “birds & bees” analogy for the coming of spring. But what about humans? Though we now live with electric light and thermostats to keep us well lit and warm most of the time, why is it that we tend to throw ourselves headlong into a new romance during the spring, too? Frankly, I think the answer lies in the phenomenon of “spring break”—and the mentality that goes along with it. Let’s face it, Christmas and Hanukkah are winter holidays that carry with them a lot of depth. You’re supposed to give ones you dearly love meaningful presents at that time of year to show them how much you truly care. But Easter or Passover? They’re mostly food holidays! Times to celebrate sunshine and spring flowers and whatever religious tradition you might subscribe to. But especially for most teens and college students, spring represents a chance to go on a much-longed for “spring break” from studying so hard or the usual grind at work. And traditionally, that means leaving town and even heading to the ocean or a lake for some sunshine by the shore. And all of a sudden, we find ourselves in a location that gives us a new, and possibly a wider, pool of romantic possibilities. We get to see new sights (even if it’s just at some delightful new spring festival), and we certainly get to move beyond the usual faces of our monotonous school or work environments. In addition, the warmer temperatures tend to make us more willing to wear skimpier outfits to soak up the sun. Combine that with a lack of pressure or deadlines during our brief respite, and you suddenly have the perfect recipe for romance—the chance to step out of your usual comfort zone to connect with new faces and places that might just bring you the lover of your dreams . . .
“Let’s get down to Turtle Shores and see what all the fuss is about,” Creek said to me. I carefully followed him down the tree-stand ladder to the ground, and we picked our way through the forest that was growing more shadowy by the second. Yet through the trees, I could see the reflections from the fireworks glowing on Bender Lake. Because despite the smell of sulphur and other obnoxious fumes I didn’t recognize, the vibrant colors on the dark water were . . . But not half as exquisite as the twinkling white lights that greeted us like stars when we arrived at the Turtle Shores compound. I stood at the edge of the meadow in shock. The delicate lights criss-crossed from tree to tree over our heads—like winsome fireflies illuminating the meadow. And on some of the tree branches hung round paper lanterns in charming colors—the kind that usually appeared gaudy in daylight, like some sad remnant of a forgotten carnival. But here, in the twilight, they appeared . . .
Creek saw me halt in place and gasp. A big smile spread across his face, lit up by the orange and red and blue paper lanterns that hung above us. Creek enveloped me in his arms and began to sway a little—for a few, blissful moonlit moments—as the music slowed to a softer melody. Catching my breath, I glanced up and saw the stars flicker above us, so bright now in the clear night sky, and the way Creek’s eyes seemed to match their light. His hold on me felt strong and enduring . . . and tingles began to spark along my skin. Something inside told me I was living out every teenage girl’s dream—dancing with a hot guy most boarding school chicks would kill for! Even Robin is shocked by the intoxicating alchemy that spring wages on her heart—because surprise is the very nature of Spring Flings! We don’t expect these liaisons to just happen, so when they do, it’s like receiving a marvelous gift to go with the warm season. But does that mean Robin’s new love will turn into something more enduring? I’ll let you find that out by reading the rest of Robin in the Hood. But the one thing that’s always wise to remember about the power of spring—sometimes it’s the most “accidental” relationships that turn out to have just the right blend of adventure and surprise that can keep us going for the long haul . . . 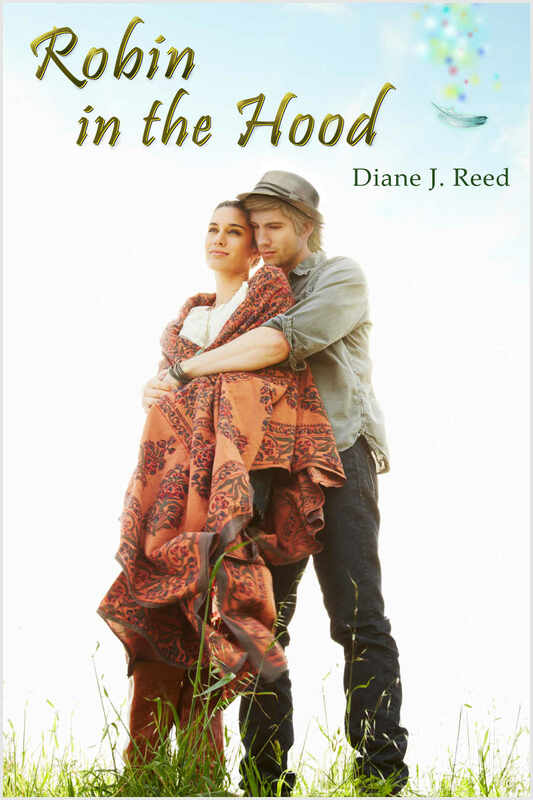 If you would like to read Robin in the Hood by Diane J. Reed, it’s available in paperback at Amazon.com & BarnesAndNoble.com & as an ebook on Kindle, Nook, iBooks & Kobo. “Is it any wonder I became a bank robber?” said Robin. 15-year-old Robin McArthur thinks she has it all figured out when it comes to bilking her wealthy dad for guilt money as a substitute for his genuine affection. Until one day he suffers a stroke, and she learns the brutal truth. And everyone from bankers to bookies has come to collect. His only saving grace is what he reveals to Robin in between drools: He truly does love her, in spite of all his mistakes. I write novels that are infused with enchantment, where characters dare to break through boundaries and believe in true love. I have a soft spot for artisans & outlaws of the heart, those of us who burn brightly to live each day as a gift--because it is! I'd love to hear from you, so feel free to visit my website or message me on facebook or twitter to share the whispers of your spirit. First name drawn will win the first prize and so on. Well, I never experienced spring but the idea of falling in love in this season is just swoon worthy. I've seen enough movies, read enough books to know that a lot of people love this season. This book seems swoon worthy based on blurbs and excerpts. I would definitely love to win a copy of this book. Spring in Australia is September, October, November. Our big break is during Summer and over January so I think love might bloom more often then Down Under! This book sounds great so thanks for the giveaway! I loved the guest post! I think that spring is a very relevant key to the term "spring fling". I guess it's what gets people in the mood to get it on especially since spring is such a cheerful and calm type of season. Maybe it tampers with your hormones? Great guest post! Love your blog, Sab! :) We're waiting on spring in Tennessee, USA, but right now, it's colder than usual this time of year. Should be here soon, though! Great guest post. Thanks for the giveaway. hmm, I think that might be a reason. Greek myth explains it by waking of Dionysus, i.e. the Dionysus in us, the emotional, amorous part of us as nature wakes. Ooh, Dionysus—I like your train of thought! You did a great job with the post!! well done!